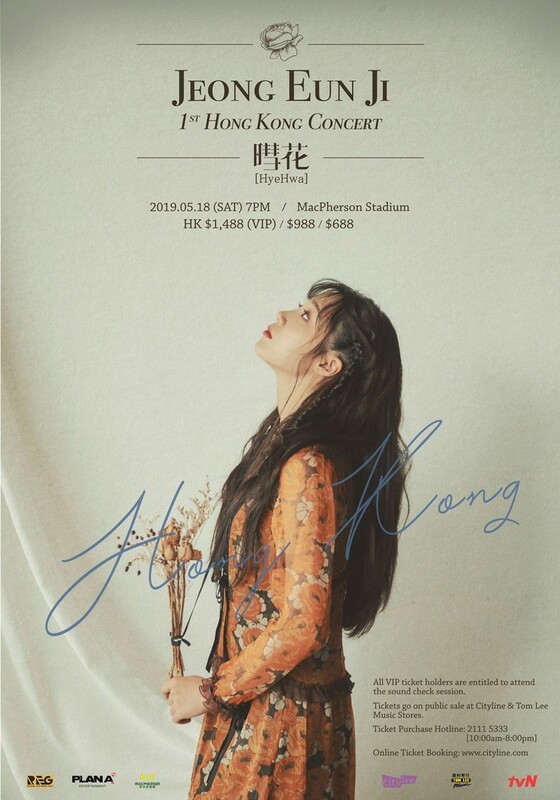 Apink Jeong Eun ji sold out the ticket of concert in Hong Kong "Added one more performance to a hot response." Apink Jeong Eun ji proved her global popularity by selling out tickets for Hong Kong performances. The agency Plan A Entertainment said "The tickets for the Hong Kong performance of the Asia Tour's "2019 Jeong Eun Ji 1st Concert Hyehwa" were booked on the 27th and sold out on the same day. Thanks to requests from hot local fans, we decided to add one more performance. We're going to announce the details of the schedule." On 28. In October and November last year, Jeong Eun ji sold out 7,200 tickets for her local concerts "Hyehwa Station" in Seoul, Daegu and Busan. She showed off her global ticket power by selling out more than 1,000 tickets in the upcoming concert in Hong Kong. Jeong Eun ji released her solo album "Hyehwa" in October last year, successfully completed her solo concerts in South Korea and Japan. Jeong Eun ji announced the hosting of the Asian tour "2019 Jeong Eun Ji 1st Concert Hyehwa" in Taiwan on May 4 and in Hong Kong on May 18, has revealed her unrivaled presence as a leading female solo artist in Korea. Jeong Eun ji is working hard to prepare for the release of the group Apink's eighth anniversary fan song and fan meeting in April, and is set to make her first screen lead debut with the film "0.0 MHz" in May.